The Ecovia do litoral is a dedicated cycle route in Portugal that links Vila Real de Santo Antonio on the Spanish border with Cabo de Sao Vicente (Sagres) in the west. This route combines trails in nature protection areas with stunning coastal views, linking stretches on traffic calmed or car-free routes. 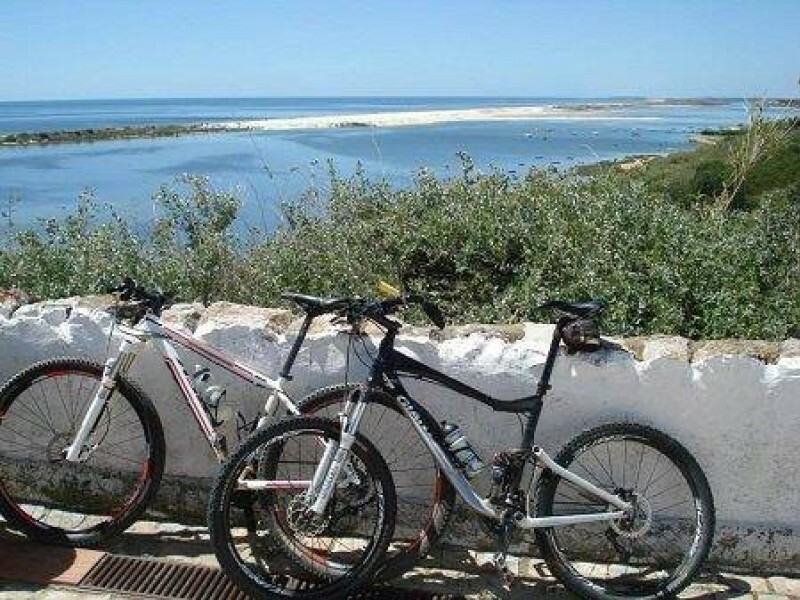 Upon your arrival in the Algarve, we will collect you and equip you with your bicycle for the tour. Then we will transport you and your bicycles over to Vila Real de Santo António for your first night. Following a well marked route, with supplied maps, you will cycle west towards Tavira, a charming old fishing town that has been around since Roman times, your destination for this day's cycling. Today's ride continues west and passes through unspoilt coastal countryside and quaint fishing villages. Your destination is Olhão, still the hub of the fishing industry, but with a charming old town, renowned for its moorish style architecture. It's the perfect place to sample local specialities at local prices! Day 4 on the Algarve Coastal Cycle Route takes you onwards for your overnight stay in Vilamoura, with its impressive marina full of luxury yachts and a good selection of cafes, bars and restaurants. Today you will have an opportunity to relax, explore the local area or do some shopping. If you are still feeling energetic, you may still choose to cycle or simply spend a day on one of the many fine beaches on the Algarve coast. Starting out with a ride around the marina, you soon cross the river and head along a dirt track alongside Falesia Beach, famous for its red sandstone cliffs . There is an optional viewpoint further long where a cliff top view back along the beach is well worth seeing. The next resort along the way is Olhos d'Agua and then along the coast towards Albufeira. Then along the cliff tops towards the Marina. Quiet roads then lead towards the resort area of Salgados and beyond that is the protected bird sanctuary of Salgados where the route takes you along a raised boardwalk offering splendid views of the bird sanctuary to the right and the extensive beach on the left . Leaving the boardwalk the route heads inland and then back down to the coast and into the town of Armação de Pera. Leaving the hotel and heading west after a good steady climb, you soon reach some dirt tracks taking you through the countryside towards Lagoa. The route offers the option to detour into Lagoa and take a cafe break, in this traditional non touristy town. The route then heads mostly downhill past a golf course and onwards to Ferragudo. Ferragudo offers a little centre with several cafes and you also get a view across the Arade river towards the city of Portimao. Heading up the river next towards the town of Parchal, then across the river into Portimao, the town may look a little daunting for cycling, but in fact the route heads along the river on a clearly defined cycle track and the ride is very easy and pleasant . There are cafes along the way and also the musem of Portimao which is worth a visit if time allows. Passing by Portimao without really needing to go in the city, you soon arrive at the coastal resort of Praia do Rocha famous for its incredible beach. Todays ride is a little shorter, so once you have arrived at your hotel you should have time for a quick dip in the sea. Flat. Cycle paths and quiet or minor roads, with some sections on unpaved surfaces. We recommend flying to Faro airport to reach the starting point of this cycling holiday. The Algarve Coast to Coast cycling holiday includes the daily transfer of luggage to the next hotel and local support if required. Important: This holiday is only available with two people travelling together.